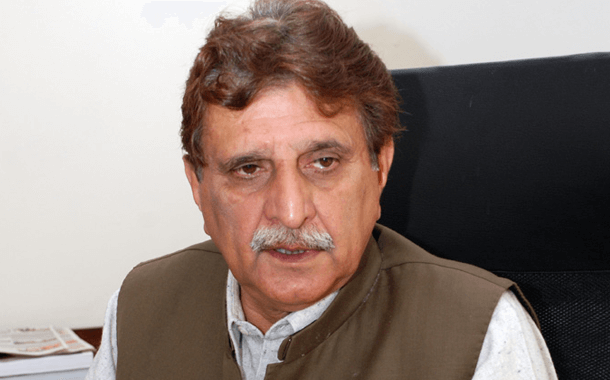 Azad Jammu and Kashmir (AJK) Prime Minister Raja Farooq Haider reached London on Sunday evening to lead the scheduled April 18 mass anti-India protest rally to mark Kashmiris’ everlasting hatred against India on the arrival of Indian Prime Minister Narendra Modi in the United Kingdom (UK). Leadership of the main political parties of AJK is also already present in UK to join the scheduled protest against India and its PM Modi as he was the culprit of the massive human rights violation in Indian Occupied Kashmir (IOK). Leader of opposition in AJK Legislative Assembly Choudhary Muhammad Yasin, former AJK prime minister and PTI AJK Chapter President Barrister Sultan Mahmood Chaudhry and former Jamat-e-Islami AJK Chapter Chief Abdul Rasheed Turabi are actively engaged in UK to ensure maximum participation of the overseas Kashmiris in the scheduled anti-India rally. AJK PM Haider had been invited by House of Lords member Nazir Ahmed to lead the protest during his visit to AJK last week.